We are fiddlers who came together to explore our love of the roots of the music of Appalachia, as well as classic country, gospel, honky tonk, and beyond. Instrumentation includes guitars, banjo, mandolin, banjo uke, and bass, with lots of vocal harmony. 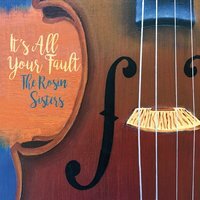 The Rosin Sisters are Barbara Panter-Connah and Jan Smith from Atlanta, Georgia, and Ann Whitley-Singleton from Dahlonega, Georgia. These three “heart sisters” came together as a trio in 2006 when Ann was still living in the big city, but they have known each other through the traditional music scene for over thirty years. They perform around the southeast and teach harmony singing at the Blue Ridge Old-time Music Week in Mars Hill, North Carolina. They have produced two other CD’s: Sweet Sunny South (which received a stellar review in the Old-Time Herald), and Walking Through Time's Door.